How are you? Getting ready for Christmas or cannot cope with Autumn depression? Today, I am going to touch more on the term “depression” and share some tips with you which will help you managing it. Well, what is depression? Talking from the scientific point of view, it is a kind of disorder characterised as a severe medical illness which affects your state, perceptiveness, the way of thinking and how you act. It can be treated though. I do not actually mean to talk about this form of disorder but about less severe depressional states – seasonal or temporary. This kind of depression comes every year and usually about the same time (during the winter or autumn season, for instance). Obviously, you may lose the interest to things you liked and feel sad all the time. All this may lead to unwanted consequences – deterioration in your physical and emotional state. However, there are good news, if you know the signs of depression you can prevent them from the early stages to become more severe. Oh, and do not be hypochondriac, remember that any signs of depression may not necessarily signal about only it (as some other disorders and illnesses have the same symptoms), just a mental health specialist can diagnose whether you have depression or not. Ok, let’s have a look at the symptoms of depression. I will start with LOW MOOD. It is not necessary to describe a low mood person. Obviously, this person has a feeling of emptiness and may burst into crying without any serious reason and quite frequently. It is also described as a sadly irritated state and any cause of sadness may arise irritation and anger. Talking about depression is almost impossible without mentioning the LOSS OF INTEREST in things the person enjoyed before becoming depressed. Actually, depressed people lose interest in anything but their habitual activities and hobbies are most noticeable. It is not a pleasure for them to do those things anymore. One more point is APPETITE CHANGE. Indeed, while depression, a person eats much more than usual or vice versa. Gain/loss of weight may have a place although the person did not attempt to have it. At the same time, it is not about anorexia, bulimia or a compulsive eating disorder but a noticeable change in habitual eating preferences (especially amount of food). Depressed people also have TROUBLE SLEEPING. They cannot sleep well, have a problem to fall asleep and stay asleep during the night, moreover, the can feel sleepy even in case of having a full night proper sleep. In general, they just unable to control this and their sleep phase is a whole chaos. It is evident from the previous items that FATIGUE is a problem as well. Depressed people feel exhausted and drained. They do not have energy and feel tired almost all the time. In fact, it is not a physical tiredness but an emotional one. Once a person starts working on the depression (talking therapy/medications) it has to get better and more energy will appear. As a consequence, such people can experience DIFFICULTY IN CONCENTRATION as well. They struggle to make a decision or act immediately, they tend to slow the speed and spend more time than usual even for easy tasks. It depends on how severe the disorder is but depression is also characterised with THOUGHTS OF DEATH and FEELING OF GUILT OR USELESSNESS. A person cannot assess him/herlself and tired from everything and everyone he/she starts blaming self, every time reminding, how worthless he/she is. Obviously, such an attitude may lead to suicidal attempt or preparation a plan on how to end up life or self-harm. It can have various forms but the sense is the same in each case: “I am worthless/guilty – I have to die and everyone will feel better”. Oh, and one more important thing, RETARDATION IN MOTOR SKILLS. People with depression can experience retardation or restlessness which will be evident in the speech and body language. It is again more about emotional influence. These reactions happen because of psychomotor violation and may be treated by working with the emotional state of the person with depression. How to overcome depression? That is a good question. 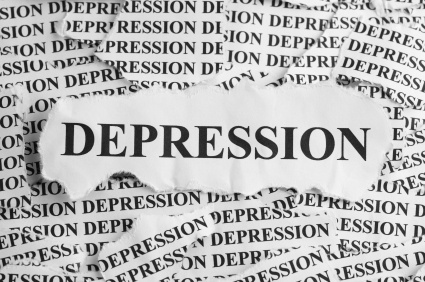 If you think that you have a severe depression, it is better to go to the doctor as soon as it is possible. The right medication can help you dramatically and it’s absence can make things worse. However, if you just feel a bit depressed because of the season change or something like that, I will give you advice. First, go somewhere on vacation. I’m not talking about a proper two-weeks vacation. Even if you have the only weekend, you can go to the countryside and it may be enough for you to charge yourself and continue working. Spend time with your friends or your beloved one or go there along. Walk along the park or lake and enjoy nature, think how important all your problems will be in one month… I’m pretty sure almost all of them will not be important at all. Make barbeque on the open air and enjoy the smell this warming smell…oh, and in the evening you can sit in front of a fireplace and have a glass of red wine or orange juice or a cup of hot chocolate with marshmallows or tea you like. Relax, care of yourself and remember that everything is temporary, enjoy today but remember that tomorrow can be even better. Second, it is a sport. I have already told in another article a lot about the sport and yes, I think that sport is one of the best ways to feel better, be motivated and stay in perfect shape. From the scientific basis, everyone knows that after a workout or any decent physical activity the endorphins (they trigger positive feelings in the human body) are being produced and the level of energy increases. Start your day from jogging. No matter what, wake up and run, you will fill healthy and happy. If you have a dog, you can run with your pet and you both will enjoy it. In case, you do not want to wake up early, then wait for the weekend and go dancing with your friends to the club. And the third one, control your mind. Every time when something sad comes to your mind, switch to something good. You can think about anything makes you happy. And do not tell that there is nothing to think about. Your only goal is to notice when you are getting sad and switch your mind over to another thought, more pleasant thought. I promise, once you will master this technic, you will forget bout “depression”. There were some tips to overcome depression. For me, those are the best ways to cope with autumn depression… You can also treat yourself with sweets or your favourite food and treat your body as well with bubbly shower and things like that. Relax and enjoy!